If you have read my previous blog-post ‘My Story‘ you already know that I am actively cosplaying since 2003 (I know, I know – so old). 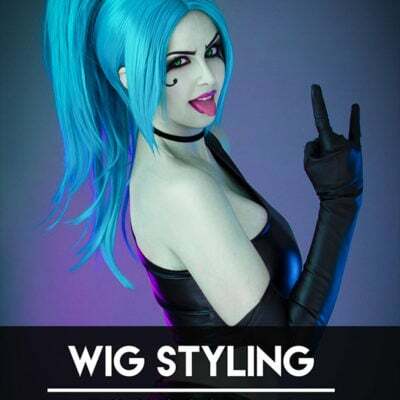 In the beginning I had a lot of financial problems, spending all the money I could scratch together on fabrics, wigs, crafting materials and all kinds of tools for my costumes. I often could not even afford to buy convention tickets, so I started contacting them and offered to run crafting panels in exchange for some free tickets (this was all still in Germany by the way). I already had a bit of a following on Social Media and my blog and people liked my tutorials, so I thought: ‘Why not? !‘ Most of the cons agreed and in return for one or two panels, I got free badges for Benni, my co-host Selina and me. Now we were super awesome official panelists and our panels were sometimes even mentioned on the convention website or in the programming booklet! We started out in small rooms with around 10 attendees but soon filled rooms with 200, 300 people inside and some people started to tell us they bought a badge just to see our presentations. Despite of that we still got only three badges, were even forced to run at least a panel a day and somehow this started to feel a little weird. Sure we were doing it just for the heck of it but the effort to prepare these panels grew: Our car was filled with different props and armor pieces to hand around, our laptop was full with photos we made just for these presentations and we sometimes even practiced our speech in front oft a mirror at home. Then something changed for me. So after years of doing this, we still had fun entertaining and teaching our audience something new, but it also became a bit exhausting. The last workshop I gave in Germany in exchange for free tickets, was while I was sick. I wanted/needed to stay at home, but I also did not want to disappoint anybody. So Benni and I basically drove to the con, did the presentation and drove back at the same day. Yikes. At the same time my work and my panels became more popular internationally and I got my very first convention invitations from abroad. Just to put this into perspective – this was in 2012, nine years after I started with Cosplay. It felt pretty weird to travel to a foreign country without knowing anybody or even speaking the local language – but it was an adventure and I like adventures. So the con booked my flights and a hotel, picked me up at the airport, drove me to the hotel and dropped me off at the convention on the next day. I didn’t had a table – because asking for a booth was not anything I though you could or should probably do – so I pretty much just walked the whole day in circles on the convention floor and waited for my panel and my contest judge duty to begin. Almost nobody knew me and I didn’t know anybody there either. Yeah, it was really weird and awkward. I still learned a lot from it and it helped me to be better prepared in case there would be a next time. Today I get convention invites on a daily basis and also know many other talented artists who visit conventions to have a booth, sell prints or other merchandise and have interesting panels and discussions at different pop culture events all over the globe. 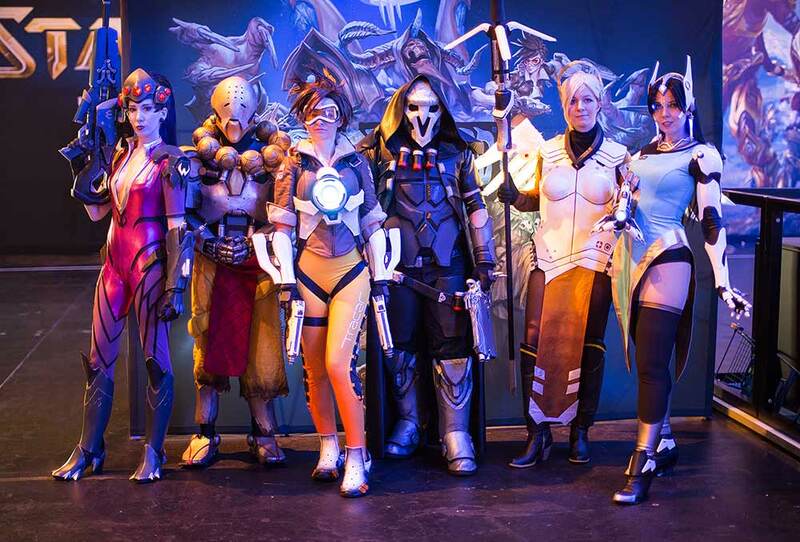 Inviting cosplay talents has become commonplace and this makes every event more interesting and enjoyable. It creates opportunity for cosplayers to be seen and allows convention attendees to meet and talk to their favorite artists in person instead of just following their work on Social Media. While this sounds great for everyone involved, it’s still important to keep some basic rules in mind if we want this exchange to remain a win/win situation for everyone involved. 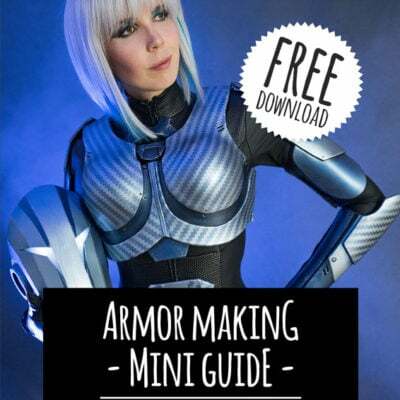 I have been doing this for many years so I think I can talk out of experience and give tips and advice to cosplayers as well as convention organizers. It’s always exciting when a convention invites you to visit, especially if it is your first time. It’s a point almost every cosplayer wants to reach someday. You’ll feel honored, excited and confirmed that your hard work has value. It’s just a great feeling all around. For me this point came naturally after years of hard work. However I know that it has become more difficult today to be noticed with this many popular cosplay pages around. Many people take the initiative and contact conventions on their own behalf and ask to be invited. There is nothing wrong with this approach of course and I did the same with my first panels. Whatever the case may be – let’s just imagine you’ve gotten invited to your first event. 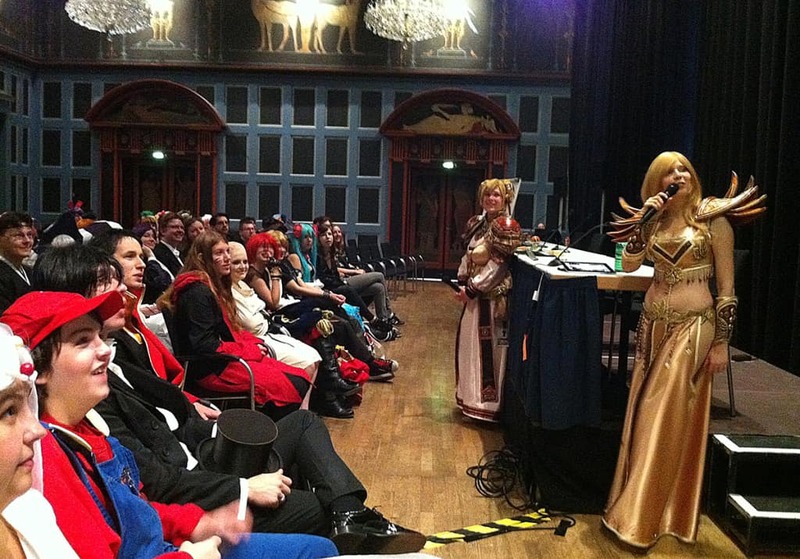 Being a cosplay guest is HARD work – but we love it! Being a cosplay guest mostly translates to stressful traveling, running several panels, judging costume competitions, sometimes also creating new costumes and wearing them between 8-12+ hours a day and even appearing at after show parties. All of this two, three or even four days in a row and all of this while looking happy all the time, taking a TON of selfies, talking to people, answering questions and spreading fun and enjoyment across all attendees that show up at your table. It’s super exhausting and made me pretty sick on several occasions even for days after the event is over. While ‘regular’ celebrity guests (actors, authors and artists etc.) wear comfy clothes and appear maybe only for a few hours of signings, panels and photo sessions, cosplayers often wear their most impressive but also most uncomfortable and even painful creations for the full weekend. Nevertheless we all very much enjoy our time at a convention. We do cosplay because we love it, even if and sometimes even more because it is hard work. I don’t know a single cosplayer who does not enjoy his time at a convention. Why do it if it isn’t fun? We all love to meet the new creative people, talk to other crazy artists, take photos, make connections and start friendships and this makes the convention more fun for everyone involved – attendees as well as the cosplay guests. Even if you’re having fun – your work and time has value! So should you accept an invitation? What do they want? What do they offer? Going there might be an ‘honor’ for you, it might be your best chance for additional exposure or it might be the missing stepping stone to finally becoming a ‘professional cosplayer’ (a concept I still do not fully understand since for me there is no difference between cosplayers). It might be your chance for whatever. At the end of the day it’s still work and should be properly compensated. Going to a convention usually involves booking a flight or driving there, getting a hotel room for the weekend and of course we also all need food. Being invited means that all of these costs should be covered by the convention and not the guest. This might be different for a smaller local convention or if you instead ask for a booth, where you can earn some money yourself to make the trip worthwhile. Once the con seriously profits from your appearance and you are able to draw a an additional amount of attendees you should think about your conditions. When should you ask for an appearance fee? Is the event is asking YOU to come tough, it’s their turn to invest in you as well. Most of the time cosplayers and events strike a deal that covers travel expenses, accomodation, food and a booth in exchange for panels, judging and other guest duties. At some point however you will get the feeling that this does not really cover your effort anymore. When this day comes you should start thinking about an appearance fee. Being afraid to start asking for one does not only hurt yourself, but also the other guests in the long run since conventions will start to expect ‘that everyone else will do it for free’, so why should they pay you. However regarding your value – there is not really much advise I can give you. You have to take into account how much time you ‘loose’ by going to the event and what you could have accomplished in the same time at home. Working on a commission, doing overtime at your day job or simply having fun with your friends could be a better option than spending the weekend behind a booth at a convention. As a convention organizer who never had cosplay guests you might wonder why you should invite them at all. In the end, they don’t seem to be much different from any other attendees who come dressed up, right? Cosplayers though are not only some of the most passionate fans at comic conventions, they are also incredibly skilled, widely talented and enjoy to entertain attendees. Cosplayer are some of the most interesting and hard working guests you can have. Look at the program booklet of cons. Cosplayers often run some of the most interesting behind the scenes panels about all kinds of crafting techniques, stage performances or how to act in character. In some countries they perform own written musical acts, do Q&As with a huge interest on the main stage or even create an amazing show during the cosplay contest. All this is a huge draw for attendees and fill up the convention schedule with memorable and interesting highlights. Also many people would just love the chance to finally meet someone in real life that they only could follow over social media before. Media is changing and with the power of the internet everybody can become a popular face – no need to be the star in a cool movie anymore. Conventions now have the ability to get those people close to their fans and make them enjoy this weekend even more. Cosplayer should be treated just like any other invited guest. It might be hard to believe, but these so called internet celebrities can often attract more attendees than even TV actors. Just like well known Youtubers, Streamers or Games, cosplayers are a part of this new internet community as well. And every community has its spokes persons or people others look up to.These are invited guests, so it’s important to treat them as all other guests as well. A convention would also not ask an actor, anime director or comic book artist to pay for their own flight as well, right? Treating every guests with respect makes them enjoy and work for an event even more. When you get something you also want to give something back in return. It’s just a better atmosphere for everyone involved and turns a good event into an awesome and memorable event. Why do you want to be a guest? Please don’t think that being a cosplay guest is the only way to become well known or successful with cosplay. You don’t have to attend any event if you don’t want to. Attending a con as a guest exposes you to maybe a couple of hundred of attendees who see your work. By creating something cool at home and posting it on the Internet however you can get that same effect and even more. The Internet has a vast potential to be seen. And don’t be limited by Facebook. Use YouTube, Twitter, Tumblr, DeviantArt, Pinterest and everything else to share your work. This way you’re able to reach a much greater audience than at a booth during a convention! Opportunities can come from every direction. How to handle promotional work? Aside from conventions, also be careful how to handle promotional work for companies. I’ve had some great collaborations with Intel, Newegg.com, Blizzard, Riot Games and some other NDA projects in the past, so I know there are some amazing opportunities to turn your hobby into a profession. At the same time though consider your time, skill level and passion as valuable. Even if it’s cool to work for a well-known gaming company, don’t do it for free. Creating a costume, taking and posting countless pictures and videos and turning a fictional character to life is something incredible special and very beneficial for promotion work. And companies are willing to spend a budget on it. In the past it was common hire an external agency for a trade-show (with so called booth babes) and a Social Media agency for a additional reach on the internet – these cost thousands of dollars! A cosplayer can do this all by his own tough: Creating a costume, promote a his favourite game on his various social media channels and deliver the passion and knowledge for the perfect character interpretation at a gaming convention for example. No agency could deliver this, especially since most cosplayers seeing the opportunity to work for their dream company as a honor – and doesn’t as for any payment. Again, never forget the value of your work and time. Companies are used to work with other agencies and plan their budget accordingly. Declare the worth of your skill, the ability to reach their main target group and your knowledge about their product as something they need and want to pay for – and they will. And yes, like everyone else I also did some jobs for free and for the honor, but this just showed me that I should have asked for something to begin with. Asking for a reasonable payment doesn’t require years of experience. If somebody is interested in you, he will also invest in you. Maybe this all sounds a little bit negative but it isn’t. We live in a world where people can make their living by creating amazing video games, movies and comic books but also by cosplaying characters or making props from these worlds. How is this not amazing? Working creatively, having fun and being able to life from that, what better life could we have? It makes me sad to hear from more and more of my friends who have trouble to get their work payed or even their expenses covered just because they try to find their way into this world. I hope this blog post will show you the value of cosplay guests, give you an idea about their hard work and convince conventions and companies to invite and hire more cosplayers and threat them properly. I guarantee you will not find more passionate, caring and creative individuals. Over the years I attended countless conventions myself and got to meet many amazing people who truly love what they do and do it with a burning passion. All of you who show love, respect and deeply care for our cosplay community – Thank you! Being a guest is not just hard work, but it’s also an opportunity to finally see friends you only know from the Internet. You can also have new adventures with complete strangers and explore the beauty of a different culture and country. Thanks so much for showing me the world and helping the cosplay community to grow even more awesome! So what are your feelings? Leave me a comment below!